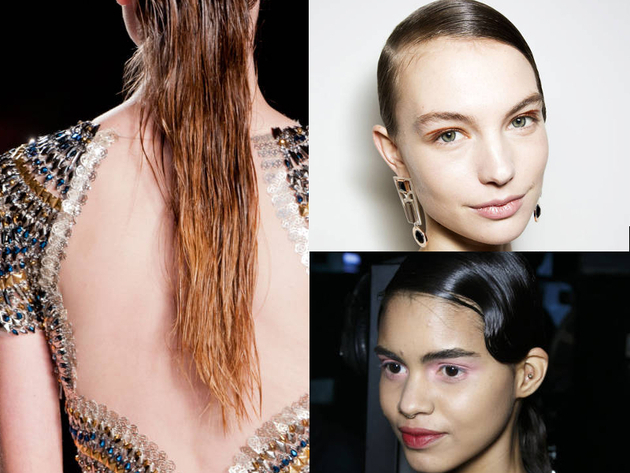 Top Beauty Trends from London Fashion Week AW14. London Fashion Week Autumn/Winter 2014 is a great indicator for major beauty trends in the second half of the year and the makeup artists and hair stylists in charge of the biggest runway shows certainly delivered this year. 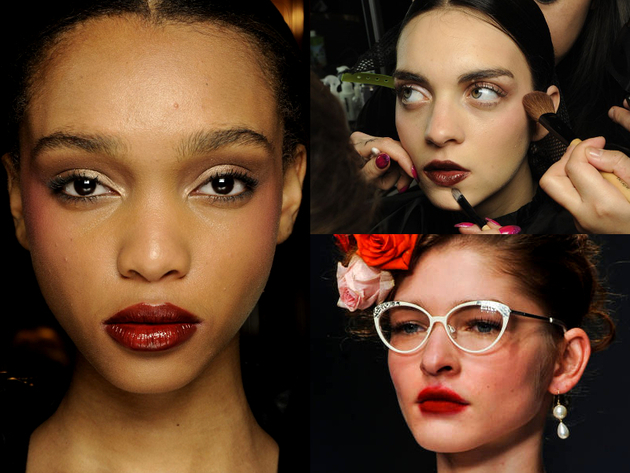 Discover the top beauty trends from London Fashion Week AW14 if you want to stay ahead of the curve when it comes to makeup, hair and nail trends this year. See the best looks from the London runway shows that can help inspire your own take on these beauty trends. 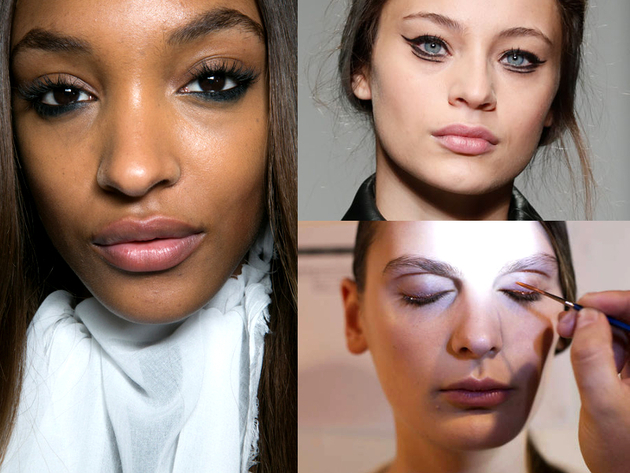 Heavily lined eyes are also emerging as one of the top beauty trends from London Fashion Week AW14, whether they’re in all black or with a dash of color. At the Topshop Unique show, make-up artist Hannah Murray went for deep kohl and black mascara, while Revlon's Global Creative Director Gucci Westman mixed up the black with green for the Antonio Berardi runway show. When it comes to eyelashes, there’s a lot more attention paid to the inner and outer corner of the eyes, whether it’s the romantic look created by makeup artist Lisa Eldridge for the Grace show or the modern punk vibe with clumpy lashes created for House of Holland by makeup artist Lucia Pica. Whether you use fake lashes or liquid liner for the corners of your eyes, more is more this season. The wet look that was a big beauty trend in New York also turned out to be one of the top beauty trends from London Fashion Week AW14. While models wore it simple and sleek during the Julien Macdonald runway show, the Todd Lynn collection was presented with a twist. A dual texture look with a deep side part is perfect for applying the wet and sleek look to the smaller section of your hair. Nail art with prints is gaining traction in the fashion world, and the most exciting look was seen during the J JS Lee show, created with the help of Katie Jan Hughes from Butter London. A houndstooth nail comes across as very sophisticated, whether you opt for a black and white pattern or more subtle colors. 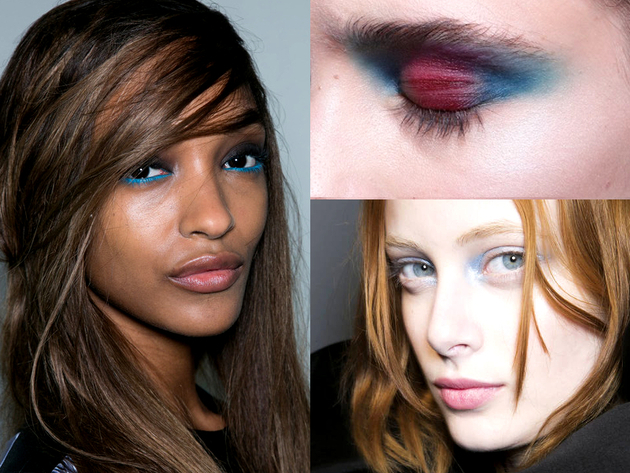 From strong colors at the brow bone to icy shades at the corners of the eyes, the cold look is perfect for winter. Makeup artist Sam Bryant created an icy stare for John Rocha with shimmery powder at the inner and outer corners of the eyes, while the look at the Todd Lynn show features strong shades of turquoise on the brow bone. Another contented for the list of top beauty trends from London Fashion Week AW14 was already seen in New York, but was prominently featured in many collections from British designers as well. If the dual texture look is too severe, try the polished deep side part created by hair stylist James Pecis for the Holly Fulton runway show. Plum is one of the trendiest shades of lips for fall 2014 and it’s certainly a good alternative to toned down lips. Darker shades with a glossy finish were a big hit in London and the best example for the look is the makeup created by makeup artist Lisa Eldridge for the Matthew Williamson collection. 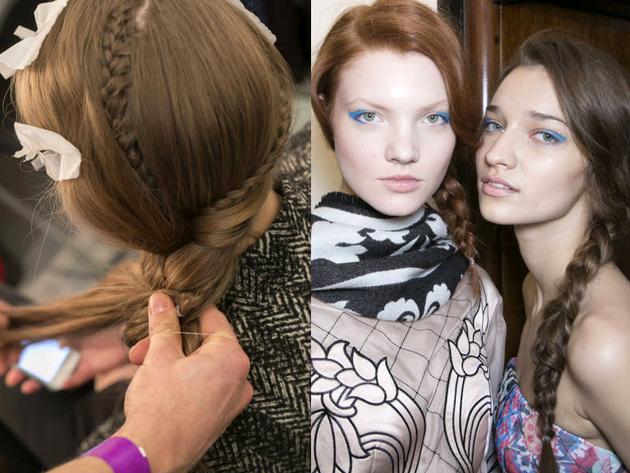 A soft and natural look was preferred by hair stylists in London, but you can also count braids as one of the top beauty trends from London Fashion Week AW14. The full side plait seen during the Temperley show is a great example of braiding that’s trendy this season. It’s the messy finish that really pulled together looks that were otherwise very polished. Low ponytails also emerged as top beauty trends from London Fashion Week AW14, but the right accessory can really make them shine. Textured low ponytails were seen on the runway at the John Rocha show, but the headband used during the Roksanda Ilinic show came off as a perfect way to complement this hair trend.